CommuteSmart seeks to improve air quality and reduce traffic congestion by encouraging alternative modes of transportation. We serve those that work or live in these four metro areas in Alabama: Birmingham, Huntsville*, Montgomery*, and Mobile*. *Not all metro areas offer all the incentive programs. Please Select your Metro area below to determine specific availability. Research shows that carpoolers arrive on time to work and are absent less! There are two programs, GetGreen and CommuterClub, in which qualifying participants can be paid to use alternative transportation! CommuteSmart participants who choose alternative commute modes aid in reducing harmful emissions which improves air quality! Getting paid for using alternative commute options starts with registering. Once you become a CommuteSmart member, then you log your alternative commutes. GetGreen is a one-time program that offers commuters $1 per day for every day an alternative commute is taken in the first 90 days of participating in CommuteSmart. Each commuter is eligible to recieve up to $70 during this period. Commuters are paid for each day they choose to carpool, telework, take transit, bike or walk to work. A minimum of 20 alternative commutes must be taken during the 90-day period to qualify for a check (this would equal a $20 check). After the initial 90-day GetGreen period, commuters are automatically enrolled in CommuterClub to encourage the continued use of alternative commutes. This program provides $25 gift card rewards for commuters that log at least 20 alternative commutes each quarter. Gift card options include: Chevron/Texaco, Public, BJCTA Transit Pass, Cahaba Cycles, CVS, The Summit, Express Oil Change and BlazerBucks (only for UAB One Card holders). From the late 1970’s until recently, ground-level ozone and particle pollution levels in Jefferson and Shelby counties exceeded federal limits, according to the Environmental Protection Agency (EPA). A designation known as being a “non-attainment area.” After the community, key companies, and multiple agencies committed to voluntary changes, the Birmingham area reduced pollution levels to meet federal standards. These two counties currently maintain “attainment” designation. The transportation sector (cars, trucks, etc.) is a major source of air pollution in the U.S. In order to maintain our “attainment” designation, we must continue our efforts to reduce pollution. The CommuteSmart program is an effective way to save money, reduce traffic, and improve our air quality. Practical alternatives to driving alone—such as carpooling, vanpooling, walking, bicycling, riding the bus, and teleworking—help commuters save money while also improving our environment. CommuteSmart Birmingham offers a complete set of incentives and services to help you enjoy an easier commute to work, while reducing air pollution. 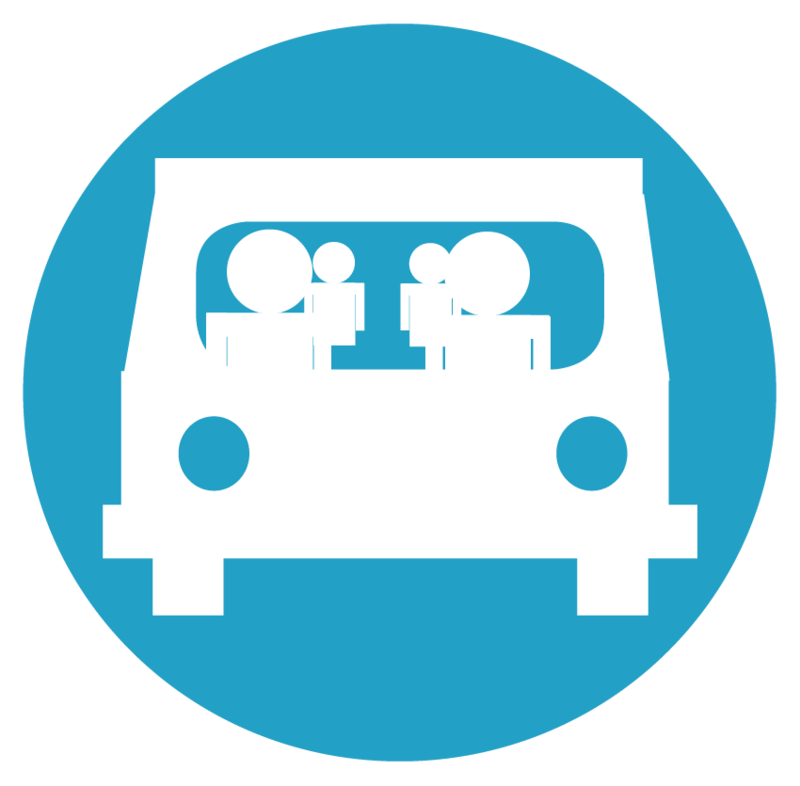 CommuteSmart Huntsville provides ridematching for carpooling or vanpooling to assist you with finding a cleaner commute, while reducing traffic congestion. CommuteSmart Mobile can help you find an easier way to work. Our free online ridematching service can help steer you in the right direction. CommuteSmart Montgomery provides ridematching for carpooling or vanpooling, while our emergency ride home benefit can help provide you with "peace of mind."